The Eldritch Realm surfaced from cruising Bandcamp tags. Stephen Andrade’s pitch perfect 1930’s movie poster-inspired cover jumped out from the list. Expecting some sort of horror themed “Scooby doom” album, I was pleasantly surprised to find Parius play technical melodic death metal permeated with vintage horror. 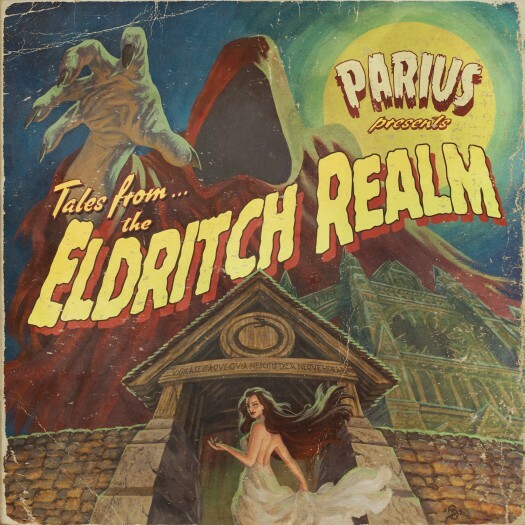 Though death metal is rife with supernatural themes, Parius is the only melodeath band I’ve encountered that’s so committed to the campy vintage horror aesthetic usually confined to doom bands, right down to a Rod Serling impersonator narrating segments to bookend the story. Technical death metal tends to be a hard sell for me. I like bands with a unique spin on the genre over simply riffs. Parius’ sound is rooted in the melodic death metal of US heavy hitters like Arsis and The Black Dahlia Murder, with a dash of neoclassical-leaning Necrophagist. Parius bring killer but accessible melodic riffs and solos. They're not reinventing the wheel. Their strength is how they alter the formula with aesthetic. For Parius the aesthetic is far more than a gimmick; it permeates the album and elevates it to something truly special. It’s a concept album, of course, and in 29 minutes they’ve got more conceptual ideas than many bands can manage in an album of any length. An unnamed protagonist goes on a journey to save his immortal soul. Guided by Lilith, the earth’s second moon according to astrologer Sepharial, the protagonist journeys across the river Styx, phylactery in hand, unafraid, taunting death. Led by a mysterious melody, he passes through the Lychgate, the threshold to the underworld, on his way to confront the Ophidian God. On his way, the serpent king snares him and destroys the phylactery. The hero disconnects from his physical body and breaks the bonds, but, shock and terror, his unbound self is given totally to the mysterious melody, and he becomes enthralled. Lilith, now personified as a demon, has betrayed him, and he takes her place at the serpent king’s side, binding him forever in the Eldritch Realm, just as fear of death sets in. The album starts with the crackle of needle on wax, then an ominous orchestral intro, segueing into the first track’s introductory piano motif, reminiscent of "The Twilight Zone" or "The Outer Limits." The music then moves right into full-on melodeath assault, but the campy horror is never lost. Underneath the lightning guitar solos, hard-hitting riffs, and machine gun drums, a vein of reference and reverence runs. Without straying far from the melodeath formula, they add motifs and progressions found in vintage horror soundtracks. The back half of "Crashing Black Moon" offers some of the most prominent examples, including reintroducing the bass riff from the first half of "Eldritch," the piano picking back up the intro to underscore the double kick-driven clean vocal section, a spooky keyboard solo, and the break into evil circus music. The vocals tie the musical approach together with an equally all-encompassing approach. Vocalist Louis Thierry is a beast. Like the instrumentals, the vocals are rooted in death metal, mostly split between a rasp and a guttural growl, both wonderfully delivered. But as the story progresses, he also employs a hard rock sneer, falsetto vocals (sometimes harmonized), a manic sermon style delivery, and some spoken word passages. There are even a few times when a vocal melody is revisited by the guitars or bass, tying the concept together further. It’s possible that this would all fall apart if they didn’t have such a fantastic concept to tie it together. Drawing from pulp horror, debunked astrological musings, and Greek mythology, they’ve crafted a story that’s Lovecraftian without any mention of Old Ones; campy, but not totally silly, and the concept is more rewarding the deeper you look. Like the recurring motifs that underscore the death metal, song titles and lyrics reference each other. The phylactery, being boundless, and what lies between hell and the protagonist recur throughout the album’s run time. The whole thing is also perfectly in tune with both "The Twilight Zone" and Lovecraft’s writing, where in the face of adversity, the protagonist may not come out on top and dramatic irony looms large. The icing on the cake is the production. Though not particularly dynamic (DR 6), everything sounds excellent and balances. The bass is clear and present, and the drums have an appropriate heft without succumbing to the clicky sound that busy tech-death drums sometimes can. 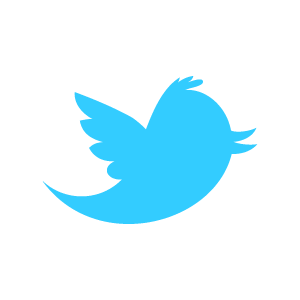 They sound human, but all the complexities are apparent. In fact I’m hard pressed to think of another album with high-speed drums that sounds this good. It’s hugely impressive for an independent release. From nowhere Parius have blown me away and released one of my favourite albums of the year. They’re asking next to nothing for The Eldritch Realm on Bandcamp. You won’t hear anything else like it this year. It won’t bring the tech the way some other bands might, but I like it all the better for the way they balance it with concept. The whole package is like nothing else I've heard.